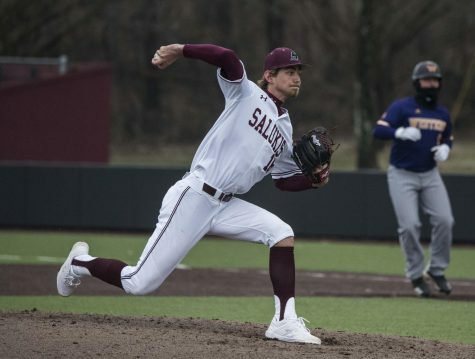 Four Saluki baseball players were chosen during the 2017 MLB Amateur Draft, held June 12-14 at MLB Studios in Secaucus, New Jersey. Draftees (from left to right) include senior pitcher Chad Whitmer, junior IF/OF Greg Lambert, junior catcher Nick Hutchins and senior pitcher Joey Marciano. 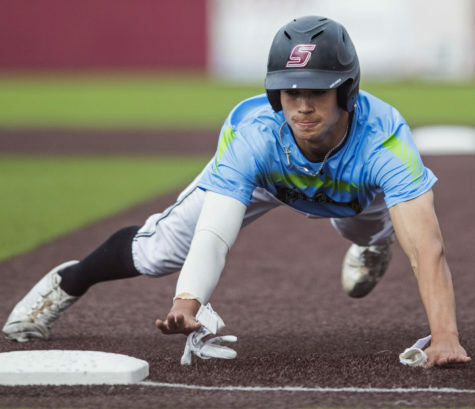 By the completion of the 40th and final round of the 2017 MLB June Amateur Draft on Wednesday, four SIU baseball teammates were among the 771 total four-year college players chosen by one of 30 professional ball clubs. 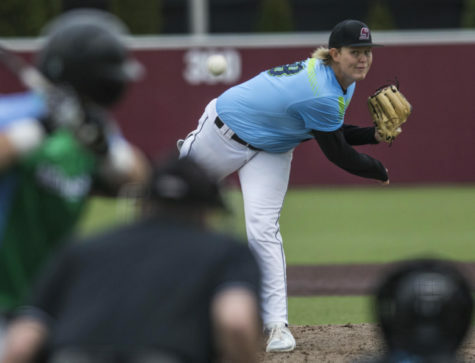 This year’s draft broke a dry-spell for SIU, after having no players drafted in 2015 or 2016 — tied with the 2000-2001 drafts as the longest span in school history without a draftee. 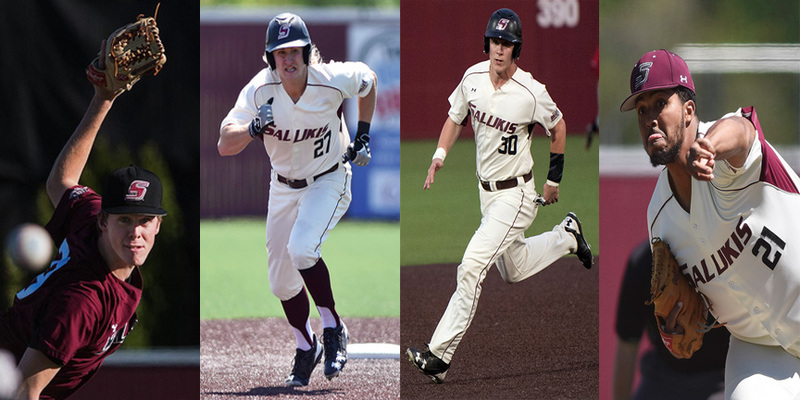 The four players chosen in this year’s draft is the most for SIU since four players were chosen in the 1990 MLB Draft. 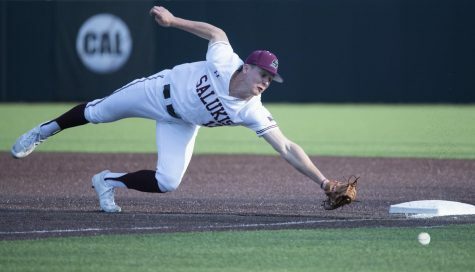 The Salukis chosen in this year’s draft include senior pitchers Chad Whitmer and Joey Marciano, junior infielder/outfielder Greg Lambert and junior catcher Nick Hutchins. 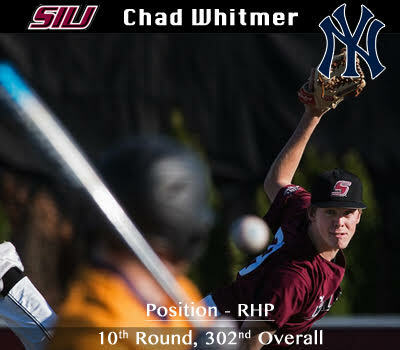 Saluki senior starting pitcher Chad Whitmer was chosen in the 10th round, 302nd overall by the New York Yankees. He represents the 41st top-10 round pick in SIU history, and his draft position carries a slot bonus of $133,300. 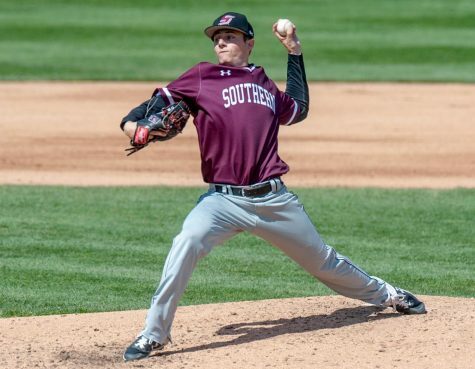 Whitmer finished his collegiate career at SIU ranked eighth all-time in strikeouts with 224, and fifth all-time in innings pitched with 282.1. The Saluki hurler also garnered All-MVC Second Team honors in both 2016 and 2017 to go along with back-to-back MVC Pitcher of the Week nods during his senior season. 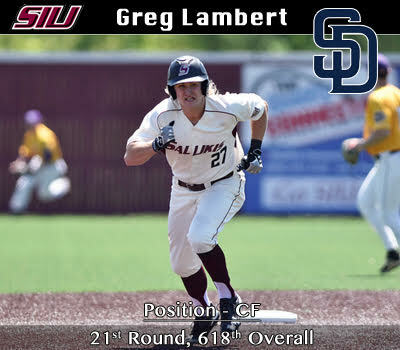 Saluki junior infielder/outfielder Greg Lambert was chosen in the 21st round, 618th overall by the San Diego Padres as a center fielder. 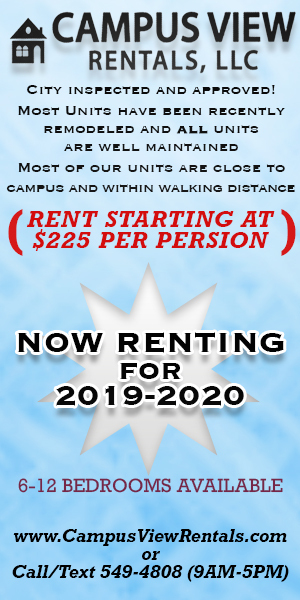 Lambert brings versatility to the defensive side of the game with talent and experience in both the outfield and infield, as well as above-average hitting ability. 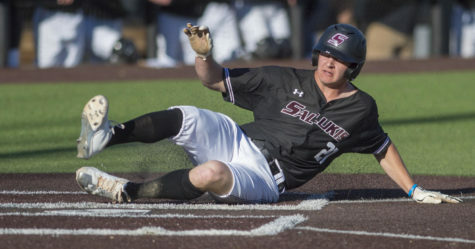 He set a new SIU single-season doubles record during his junior season with 25 two-baggers, while also leading the team in batting average, hits, home runs, RBI’s and slugging percentage. He followed up his 2016 All-MVC Honorable Mention nod with All-MVC First Team honors for 2017, as well as being named to the MVC Baseball Scholar-Athlete First Team with a 3.47 GPA. Lambert has started all 169 games as a Saluki through his three-year collegiate career to date. 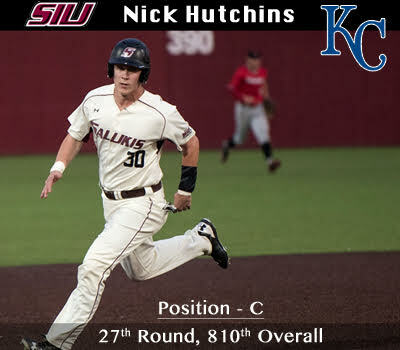 Saluki junior catcher Nick Hutchins was chosen in the 27th round, 810th overall by the Kansas City Royals. Hutchins is one of only 99 total catchers taken in this year’s draft. 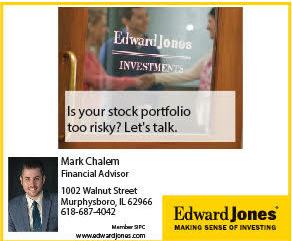 He made the Johnny Bench Award Watch List — presented to the nation’s most outstanding collegiate catcher — after posting a .985 fielding percentage and throwing out 12 stealers during his junior season with SIU. 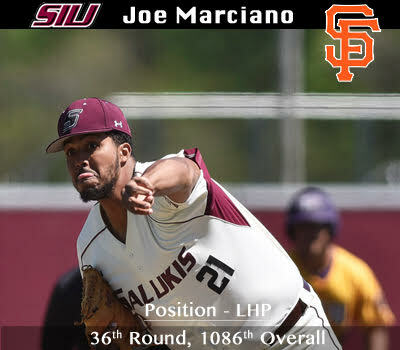 Saluki senior starting pitcher Joey Marciano was chosen in the 36th round, 1086th overall by the San Francisco Giants. 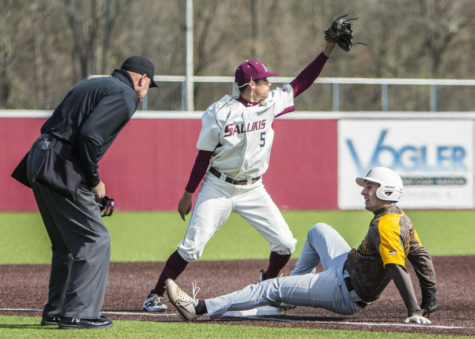 Marciano, a junior transfer from John A. Logan College in Carterville, completed his final two collegiate seasons at SIU as a weekend starter. He tallied 115 strikeouts through his final two seasons as a Saluki, and held opposing batters to a .190 batting average his senior season. 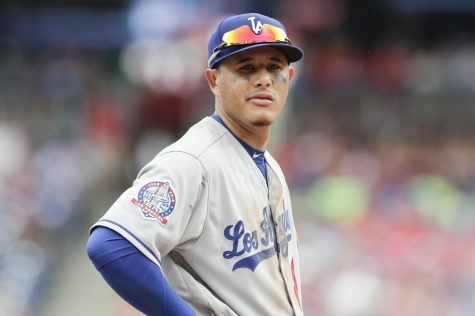 Professional baseball clubs retain exclusive rights to sign draftees until 11:59 p.m. on July 7 this year, otherwise players may enter the next year’s draft as long as they retain eligibility under MLB standards. Whitmer and Marciano have completed their collegiate careers, so their official signings are more than likely just a matter of time. 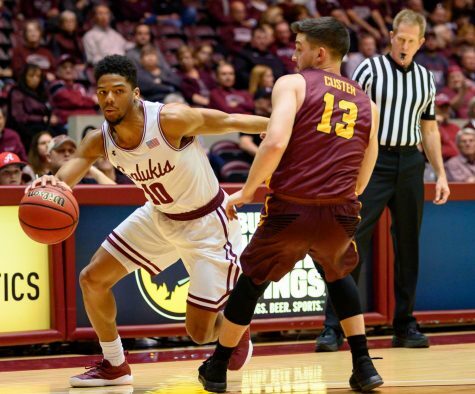 Lambert and Hutchins both have college eligibility left on their clocks, and will be put to a difficult choice to either remain with the Saluki ball club and finish their athletic and scholastic endeavors or enter the professional ranks. Future developments in regards to the draftees’ decisions will be covered in full. For now, congratulations to the 2017 MLB draftee class from SIU.